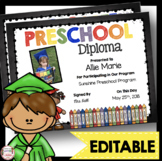 A Preschool diploma is the perfect way to document Preschool graduation! Add child's information onto the blank lines. 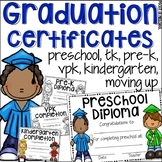 Preschool Diploma for Graduation - VARIETY PACK!! 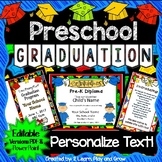 A HUGE variety pack of Preschool diplomas!!! Make sure to check out the PREVIEW file!! The PDF if over 200 pages long. 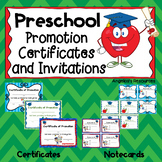 Guaranteed to find a design or template that works for your school! WHAT’S INCLUDED? 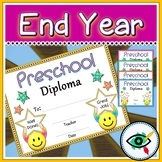 This pack includes 10 diploma designs. Each design comes with a matching invitation template! 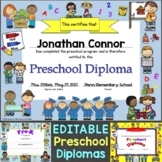 Wow your students' families with this adorable kindergarten diploma! There are various colors available along with a black and white version. The font used was KG Fall for You. 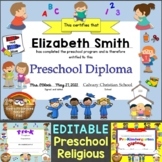 The editable text boxes are there for you to personalize the child's name, school name, and date. Enjoy!! !